Colour can bring out character, create flow or emphasize architectural details. It can draw people to gathering areas or add a sense of serenity to spaces. Architectural colour is among the most exciting parts of the remodeling process, letting homeowners express their individuality as well as set the place for their preferred furnishings. The first thing that homeowners need to consider when picking the right colour for their home is to know what inspires them. What kind of emotions do you want to evoke in a certain room, especially if guests will be staying there? For family rooms, some might think that midnight blue would be perfect. The shades of brown or red might suit offices or dens while various emotional paint colours might go well with a bedroom. Your room must be a tailored expression of your personality and the right colour will do that for you. Every room in your home would be special to you. The colour palette will need to consider the room’s functionality and the furniture and furnishings that will be placed inside the room and whether you want to have complements or contrast of shades. From walls to wainscoting and trimmings, the last thing that you want is pick one flat colour for every corner of the room. A good colour palette will actually use colours of various shades to emphasize the dominant or subtle tones of a certain colour palette as well as bring depth and dimension. For instance, a light brown with yellow trimmings can bring out the yellow as the central colour while employing white will soften it. Colour changes under different lighting. Thus, you have to pay special attention to the lighting in the room. For intense overhead lighting, the shades on the wall will likely bounce of more, reflecting off other colours. If you pick a deep shade of red for your living room and you have white furnishings, then these things may assume a pink shade when exposed to intense light. If you prefer softer lighting, then lighter hues are better compared to bold shades. Standard paint colour palettes let you see how different colours can provide you with unexpected combinations even against the furniture or furnishings in your house. These paint colour schemes are a great way to experiment. While there are 7 basic colours, the permutations and combinations to pick from are endless. Deciding that green would be the perfect choice for your kitchen may be a good pick, but finding the right colour will make it feel as if it’s a part of you. Paint colour schemes prove to be a cost-efficient way to find the right paint colours for your home. It doesn’t matter whether your home is new or not. The colours of the rooms in your home need to bring out your individuality. If you’re in need of qualified painters and decorators in North London experienced in providing the best quality painting and decorating service on every project assigned to them, then LondonDeco can help you. 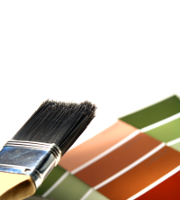 Our company of professional painters and decorators in North London offers spray painting, restorations, renovations, decorating, painting and other services in Hampstead, Islington, Muswell Hill, Camden, Highgate and other parts of North London.